One of our best-selling park flyer airplanes is back! The Parkzone T-28 Trojan is a superb intermediate-level R/C aircraft, great for pilot who has progressed beyond their initial trainer. It is available as a Plug-N-Play model, meaning you can add your own radio system, battery and charger, or for those with Spektrum equipment, we have the Bind-N-Fly Basic model, which features Horizon's patented AS3X 3-axis gyroscope and SAFE Select, though it still requires you to have a Spektrum 6+ channel programmable radio, a battery, and charger. Horizon recommends a 2200mAh 3S LiPo for this aircraft. Stop in and take off with one today! 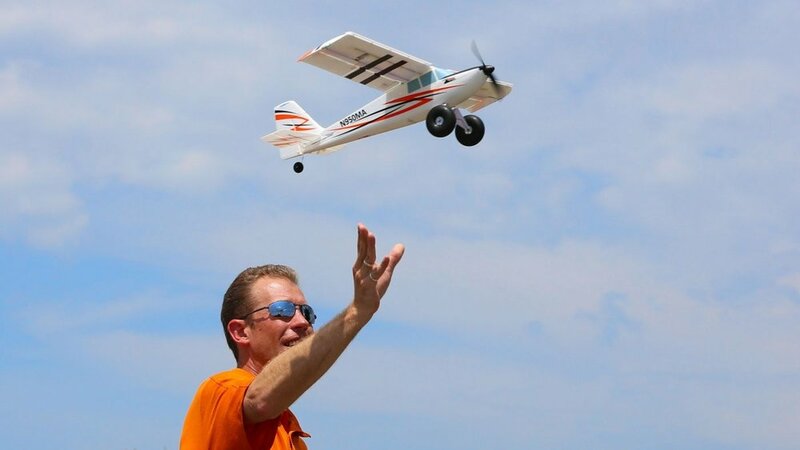 Dozens of Horizon Hobby's R/C airplanes are on sale through April 30th, including some of the airplanes we have on clearance in the store — a double savings! Check out the list below, and stop in to save your hard earned cash and still walk out with an R/C airplane! *Indicates item is on clearance; coupon is eligible even with clearance price! We've begun to carry some ECX vehicles again, after dropping them back in 2013. They have made some significant improvements since then, and the time was right to bring them back into the Roger's Hobby Center fold. You can currently find the AMP Desert Buggy ($139.99), the Circuit stadium truck ($179.99), and the Torment short course truck ($199.99) on the shelf, and if they do well, more vehicles will be on the way. Additionally, look for ECX hop-ups in the coming weeks as well! Also new was the E-Flite Cirrus ST22T Plug-N-Play ($199.99) and Bind-N-Fly Basic ($229.99). This slick single-engine civilian aircraft is equipped with functional navigation and internal lights, among other scale details. Powered by a relatively big Power 10 E-Flite motor, this 1.5-meter airplane will be a must-have for fans of civilian R/C aircraft. The Revolution Ascent Single Pusher is a good-sized beginner airplane for a great price: it's running just $99.99 for a nearly 30'' wingspan. It will be at its best flying in a park or similar large, open space. Maybe a good choice for a Christmas gift? We'll see! Yesterday E-Flite announced a new UMX airplane, the twin engine Aero Commander. 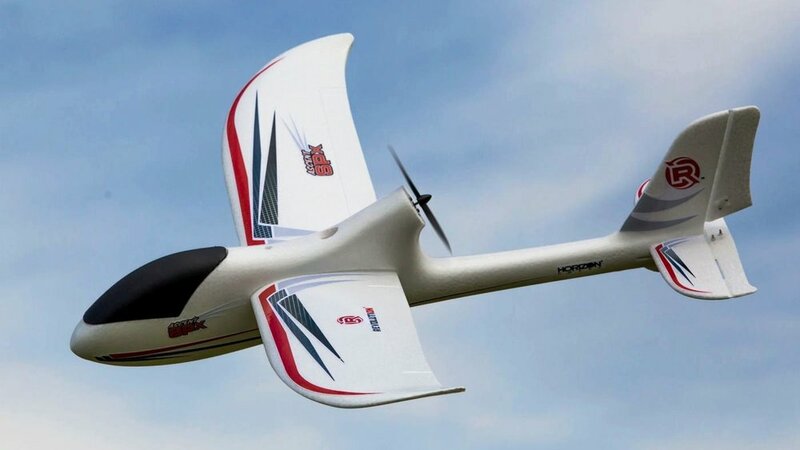 Powered by two brushless motors and requiring a 450-800mAh 2S LiPo battery (sold separately), this 28.15" wingspan aircraft stretches the definition of UMX, but I suspect it will be a popular airplane nonetheless. It will run $149.99 for a Bind-N-Fly Basic model when it comes out early November. Stop in or give us a call and pre-order one today - no down payment required! We have restocked our Traxxas Ford Raptors! Two are in stock now, so if you've had your eye on one, pick it up soon! $249.99 and nothing else to buy. Horizon keeps churning out airplanes, and two new ones have recently come into the store: the E-Flite PT-17 and the E-Flite UMX Timber. Starting off with the UMX Timber, it brings the features of the larger Timber into the small scale. Like its larger brother, Short Take Off and Landing (STOL) is a specialty of this ultra-micro offering versatile performance that harnesses both friendly flying characteristics and an abundance of power. Right out of the box, the fully-assembled UMX Timber comes complete with functional flaps and oversized wheels. Combined with light wing loading and brushless motor power, getting out and back into tight spaces is possible. Installation of the included leading edge slats means you can land even slower and takeoff in shorter distances. AS3X technology with optional SAFE Select mode means you get the ultimate in control performance no matter when you choose to fly, even if it's a bit windy. Plus the brilliant LED lighting adds a special touch of realism and the ability to buzz the bush after sundown. The UMX Timber BNF-Basic runs $129.99. Moving on, the PT-17 has everything you could ask for in a classic biplane. First and foremost is the period-correct 7-cylinder dummy radial engine, complete with intricate ignition and exhaust details. The Navy-inspired trim scheme is highlighted with wing rib and fuselage frame work accented with accessory and paneling detail. Shock-absorbing action of the aluminum struts add functional authenticity you'll appreciate during touchdowns and rolling over grass. While it's easy to be overwhelmed by the scale complexity, getting this beauty in the air requires less effort than you might think. Field assembly features a quick-release wing mounting system, which means no tools are required. Even battery installation is simple through the large magnetic top hatch that accommodates a wide range of 3S LiPo batteries. Unlike the modestly equipped full-scale original, a 15-size brushless outrunner motor delivers ample thrust so you can perform sport aerobatics or just cruise the horizon with power to spare. It's available in both BNF-Basic ($229.99) and Plug-N-Play ($199.99).